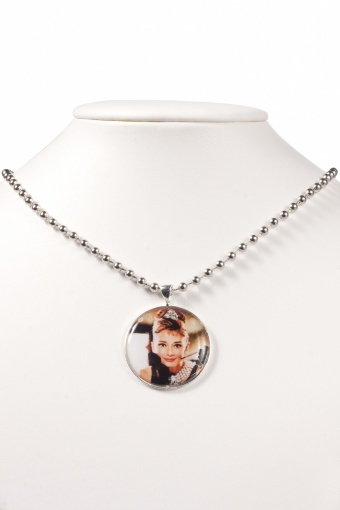 Handmade Style Icon Audrey Hepburn Necklace by Cotton Candies. 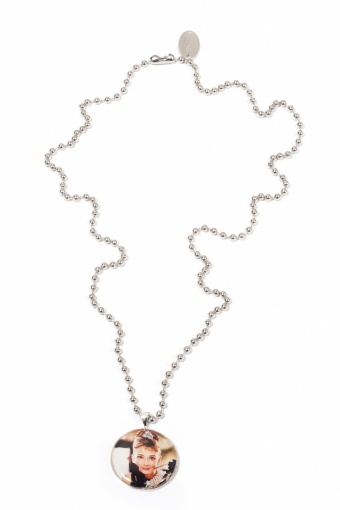 Elegance with a bite! 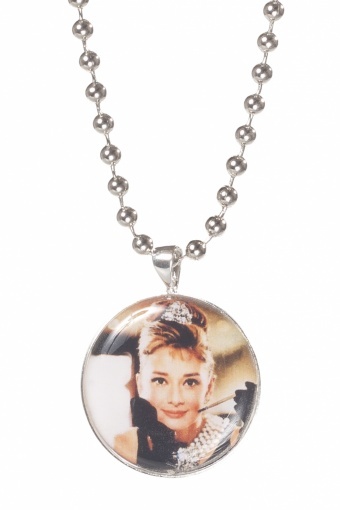 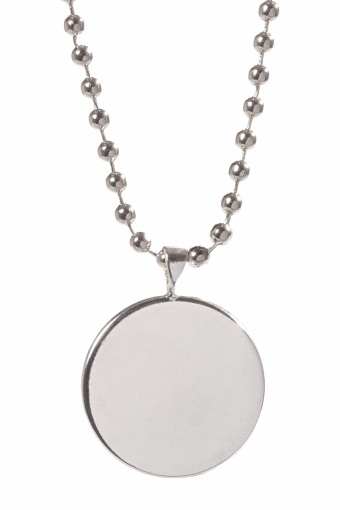 Photo locket with a gorgeous "Breakfast at Tiffany's" portrait of style icon Audrey Hepburn on a sturdy key chain necklace.